Windsor Horse Rangers runs on a Saturday and Sunday for 50-51 weeks of the year. We have a morning session for seniors (10-18yrs) and an afternoon session for juniors (8-10yrs). Choose which day of the weekend your child will attend, either every Saturday or every Sunday. The cost for the first 4 weeks is £17.50 per week, payable as £70 due on the first week at Rangers. This month period is to assess whether the potential new ranger (NR) would like to become a permanent ranger (PR). 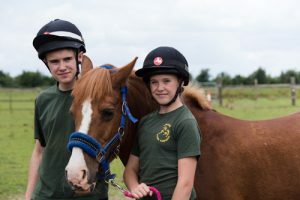 During the first 4 weeks, weather permitting, the NR will ride every week and also be shown around the farm and the horses to get familiar with the setup and all the activities. The NR will be put into a company (A, B, C, D) and will have a ranger to look after them. After the initial period, if they decide to stay, they will pay a £25 one off enrollment fee and be enrolled and become a permanent ranger. If the child is enrolled mid-month the balance for the month is payable on enrollment also. Once enrolled, fees are £840 per year split into £70 monthly payment in advance due by the 5th of each calendar month for every month of the year whether your child attends for the full month or not and are paid by standing order. This is because our horses need feed and vet care all year round and we need all the monthly fees from all our members to pay our basic bills. 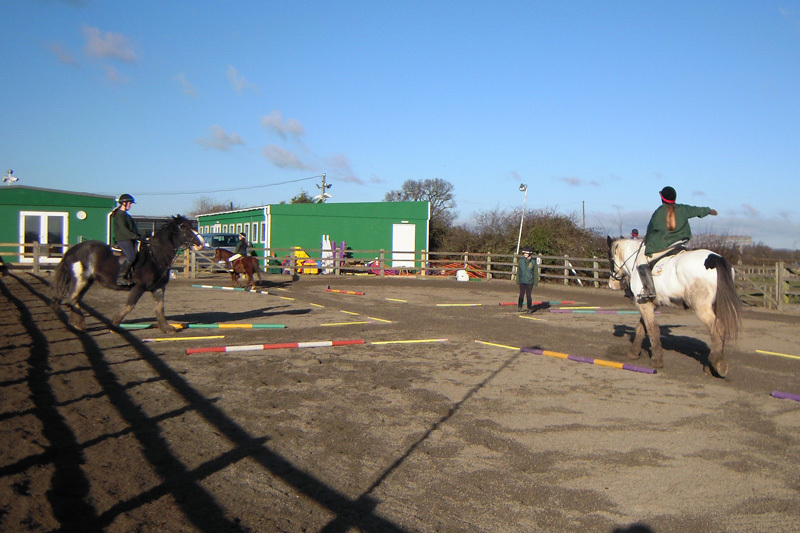 At this stage the new PR will ride every other week and on the non-riding week will learn theory and be taught practical skills regarding the care and maintenance of horse and equipment. They will require an A4 ring binder or lever arch file with 20 dividers to keep all the ‘fun sheets’ they are given for their theory work. Rangers need to bring this file each week. 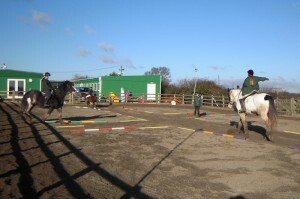 Windsor Horse Rangers is NOT a riding school, but rather a horse education centre. The teaching eventually leads to badges and certification to indicate successful passing of all exams. Some of our badges include Junior Tenderfoot, Senior Tenderfoot, Bronze Spur, Silver Spur and Gold Spur. We also reward rangers for hard work and dedication by giving ranks. Rangers wear a black hat band with insurance badge. We have leader rangers and they wear green brands. Acting NCO’s wear red bands and NCO’s wear white bands. Troop NCO’s wear purple bands and finally officers (adults) wear dark blue bands. We also have a number of very valuable Adult Helpers who take on jobs around the farm and help with the running of Rangers. All Adult Helpers and Officers are required to be DBS checked. As with all organisations – please make sure everything is clearly named with your child’s name– as we have 180 members and everything looks very much the same, boots, hats, wax jackets are all costly to replace if lost. Please feel free to visit us on a Saturday or Sunday morning between 10:00 and 11:00 in the morning or 14:00 and 15:00 in the afternoon to see the farm, horses and meet one or two of the officers. Windsor Horse Rangers is entirely run by volunteers. As a clause of membership we require parents to help out in the canteen one morning or afternoon a year. We run a canteen rota which you will be invited to participate in once your child has become a permanent ranger. We also welcome parents helping us out on the yard occasionally and have a rota for that, for those parents who are interested in seeing more of what happens during our sessions. Visit our Contact Information page for more information regarding phone number and address. IMPORTANT NOTE: We currently have an approximate waiting list of around 3-4 years for juniors and at least 4 years for seniors. If your child is over 8 when you put their name on the waiting list then they may not get a place with us. If you do not hear from us by the time they reach 13 then they will not get a place.